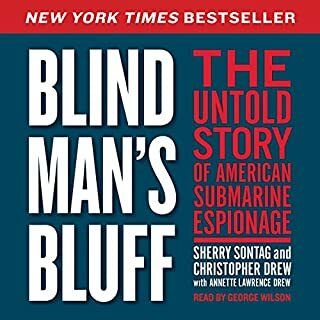 Despite incredible political, military, and intelligence risks, and after six years of secret preparations, the CIA attempted to salvage the sunken Soviet ballistic missile submarine K-129 from the depths of the North Pacific Ocean in early August 1974. This audacious effort was carried out under the cover of an undersea mining operation sponsored by eccentric billionaire Howard Hughes. How did the Russians not know at the time? 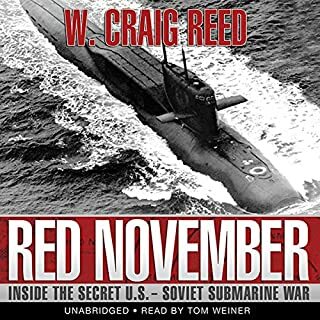 An incredible true tale of espionage and engineering set at the height of the Cold War - a mix between The Hunt for Red October and Argo - about how the CIA, the US Navy, and America's most eccentric mogul spent six years and nearly a billion dollars to steal the nuclear-armed Soviet submarine K-129 after it had sunk to the bottom of the Pacific Ocean, all while the Russians were watching. As the Soviet navy searched in vain for the lost vessel, a small, highly classified American operation using sophisticated deep-sea spy equipment found it - wrecked on the sea floor at a depth of 16,800 feet, far beyond the capabilities of any salvage that existed. But the potential intelligence assets onboard the ship - the nuclear warheads, battle orders, and cryptological machines - justified going to extreme lengths to find a way to raise the submarine. 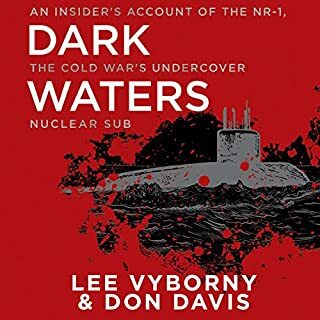 After the US Navy declared retrieving the sub "impossible", the mission fell to the CIA's burgeoning Directorate of Science and Technology, the little-known division responsible for the legendary U-2 and SR-71 Blackbird spy planes. Working with Global Marine Systems, the country's foremost maker of exotic, deep-sea drilling vessels, the CIA commissioned the most expensive ship ever built and told the world that it belonged to the reclusive billionaire Howard Hughes, who would use the mammoth ship to mine rare minerals from the ocean floor. In reality, a complex network of spies, scientists, and politicians attempted a project even crazier than Hughes' reputation: raising the sub directly under the watchful eyes of the Russians. 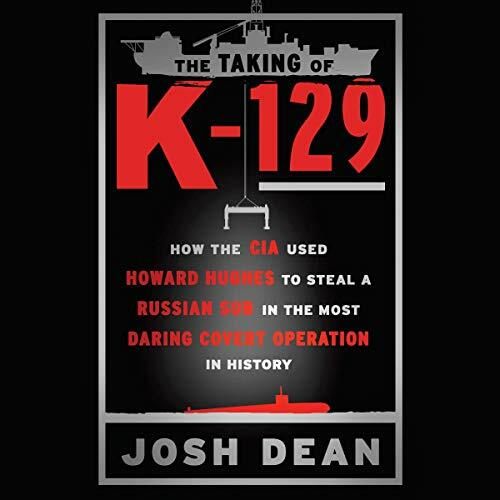 The Taking of K-129 is a riveting, almost unbelievable true-life tale of military history, engineering genius, and high-stakes spy craft set during the height of the Cold War, when nuclear annihilation was a constant fear and the opportunity to gain even the slightest advantage over your enemy was worth massive risk. this is a really good luck at an interesting chapter in American history. the effort to raise the sub was truly massive and this look at it explore parts of the story the history channels special left out. This is an amazing story. This is what exceptional American’s can do when needed. Thanks to all who help protect us and have to keep secrets and make huge sacrifices. Best book I've listened to in a long, long time. 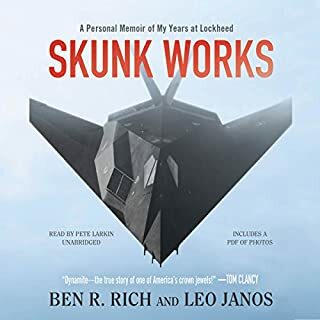 Right up my alley, suspenseful, CIA, amazing engineering and technology, military.... this book has it all. Fascinating story that filled in allot of details beyond the documentary video about project Azorian I had already seen. At first you think you know all you need to know just by reading the title-but trust me you don't. Josh Dean does a meticulous job of presenting the details in storybook fashion which holds interest. 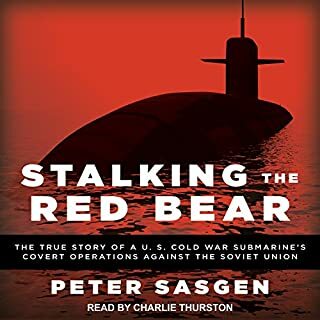 Early on every reader of a certain age who lives through the Cold War and those too young to know or remember will be fascinated by all of the conflicts and confusion and moral uncertainty that are the hallmarks of this time in American history. Excellent book - one of several I’ve read on the topic of K-129 and Project Azorian. This focuses more on the engineering feat than why K-129 ended up at the bottom of the Pacific. Great discussion of the CIA, Global Marine and Howard Hughes. Highly recommend for those interested in Project Azorian and K-129. I had always heard about the Glomar Explorer but really had no idea what actually happened. This book reads like a Tom Clancy novel. You won't be disappointed. 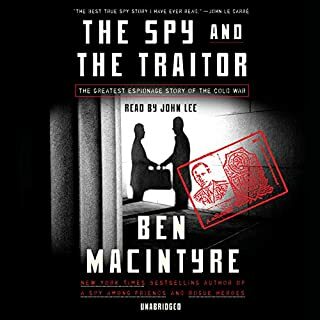 This book takes a deep dive into the most audacious intelligence operation of the Cold War. The detail is impressive and the writing keeps you wanting more. I really enjoyed this story. A real spy story for engineering geeks! This is a phenomenal story of an incredible engineering feat hidden in plain sight by some pretty Willy folks! Josh Dean authors an amazing story that’s captivating and interesting throughout. Dean’s personal touch comes through in the words in the story, adding tension and urgency - even if you know the outcome. Well read as well by Neil Hellegers, his pace and voice make it easy to listen and follow along.